This easy crustless spinach mini quiche recipe has been a longtime favorite of mine. They’ve always been a hit whenever I’ve taken them to parties – they disappear within minutes and I’m always asked for the recipe. They’re the perfect finger food for toddlers, too. My son loves these mini-quiches, and I love that I’m sneaking so many veggies into him (because any mom of a toddler knows how picky they can be sometimes!) 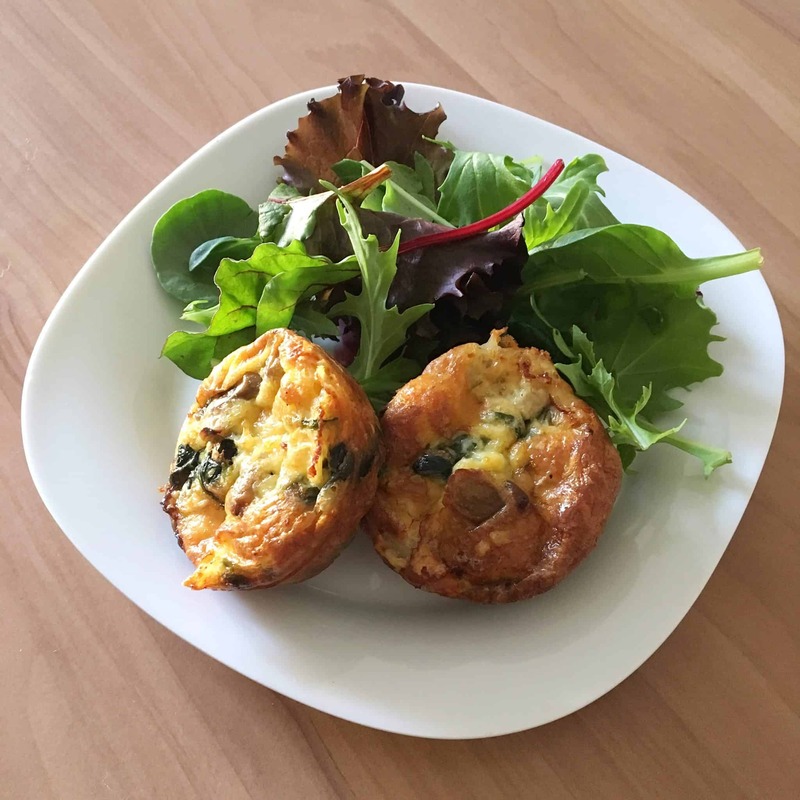 I don’t follow the keto diet personally, but if you do, then you’ll be happy to know these mini-quiches are keto-approved, too. ***Just quickly, I wanted to share this sweet deal with you because it’s too good to miss. Thrive Market is currently offering a free bag of fresh roasted organic coffee with your order. I love Thrive Market because they have an amazing range of organic pantry staples, delivered straight to your door, up to 50% cheaper than grocery store prices. Click here to get your free bag of organic coffee. 1. Preheat your oven to 350° F. Line muffin tray with silicone baking cups or spray with cooking spray. 2. Add butter to large frying pan, then saute mushrooms, onions and spinach until the mushrooms are soft and the spinach is wilted. 3. Crack the eggs into a large bowl and whisk. Once eggs are fully blended, stir through grated cheese, salt, pepper, and sauteed vegetables. 4. Spoon mixture evenly into lined muffin tray – you’ll want each silicone cup to be about half full. 5. Bake for approximately 20-22 minutes. 6. Remove from oven, let cool for a few minutes, then remove from muffin tray. 7. Eat immediately, or store in the refrigerator for later. I like eating these with a side salad for lunch or dinner, or just by themselves as a healthy snack during the day. They also make a great on-the-go breakfast! If you liked this recipe, make sure you pin the image below to Pinterest and share the love! WANT TO FEED YOUR FAMILY REAL FOOD, REAL CHEAP? 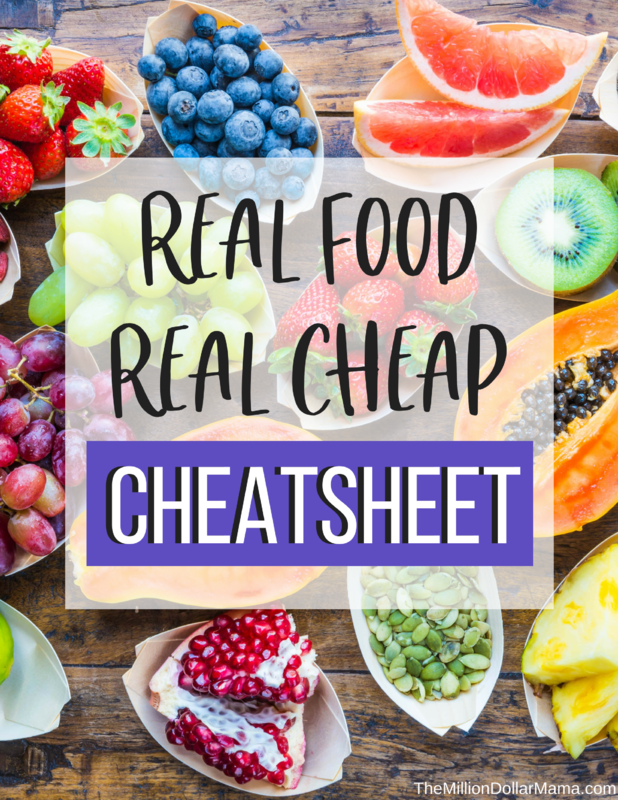 Grab the FREE Real Food, Real Cheap Cheatsheet and discover 8 insider tips on how to feed your family healthy food on a budget.